Aphids are an extremely common pest in gardens, greenhouses, and even in potted houseplants. Theses insects live and feed on various types of plants, gradually causing their health to decline. Though aphids are most commonly found the leaves and stems, another type of aphid can be found below the soil surface. These root aphids attack the root system of plants and can cause quite a bit of trouble for growers. Read on to learn about root aphid treatment. 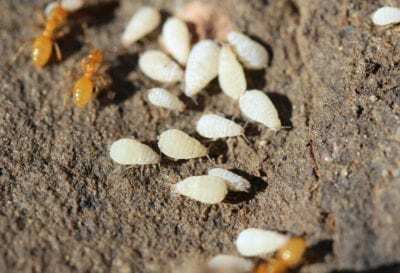 Root Aphid Info – What are Root Aphids? The physical appearance of root aphids is very similar to that of other aphids. Most often, they can be identified by their tiny and almost translucent bodies. These pests use their mouths to feed on the roots of the plants, causing the plants to begin turning yellow. While plants begin to yellow for many reasons, growers are able to further investigate by examining the base of the plant. Often, colonies of root aphids will establish at or just below the level of the soil. Upon removal of the infected plant, gardeners are likely to notice small clumps of a white wax-like material throughout the root system. Like many issues in the garden, one of the best methods by which to avoid root aphids is through prevention. General garden routines, such as weed control and even watering, can greatly reduce the likelihood that root aphids are able to invade. 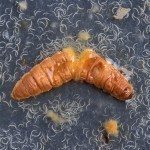 Turning and working the soil in the fall will also help to prevent the overwintering of this pest. 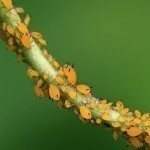 Comparatively speaking, root aphids tend not to spread in the garden. However, these aphids do spread to other plants through irrigation run off and may be “washed” from one planting to another. Root aphids may also be transported from one container to another via transplants or rooted cuttings. Once established, the process of killing root aphids may become somewhat difficult. 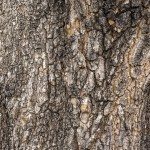 Though some chemical treatments are an option (in potted plantings), it is often not realistic as a choice to thoroughly drench the soil. If choosing a chemical control, always make certain to carefully read labels and instructions for safe usage. Other root aphid treatments, such as predatory nematodes,may also be marginally effective. In most cases, however, the reproduction rate of the aphids will outpace the control. Once established, many growers choose to discard and dispose of the infected plants.